Our work in Nepal is carried on out a small scale with a long-term perspective. We aim for sustainability rather than quantity. All work carried out by the Society in Sweden is done by volunteers. This means we can cut down administration costs so that contributions are used for the work in Nepal. 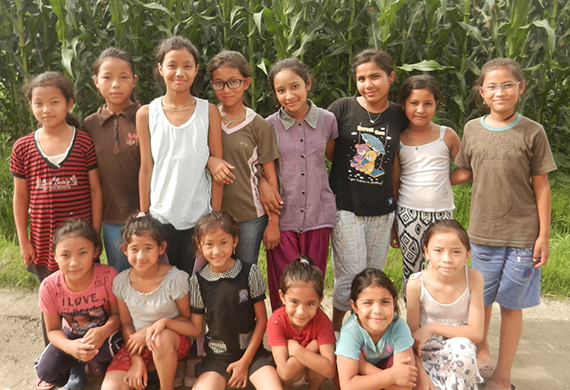 We run a home in Kathmandu for girls who have lived on the streets. We provide them with a home and schooling. We will care for the girls until they have completed their vocational training and can support themselves. We also support a children´s home, close to a Montessori preschool, for boys and girls. We provide the children with a home, upkeep and an education. During the three years we have been active in Kathmandu we have handed out a couple of thousand meals in several areas. We have now decided to focus on the slum area of Shantinagar. Here we dispense food directly to families. Sacks of rice, dried lentils and tasty items such as apples are welcomed by those who often go hungry. Many children in Nepal end up on the streets due to the high mortality rates for mothers giving birth. The occupation of midwife does not exist in Nepal. This is why we decided to fund the education necessary to qualify as a midwife for a number of girls who come from poor families without access to higher education.